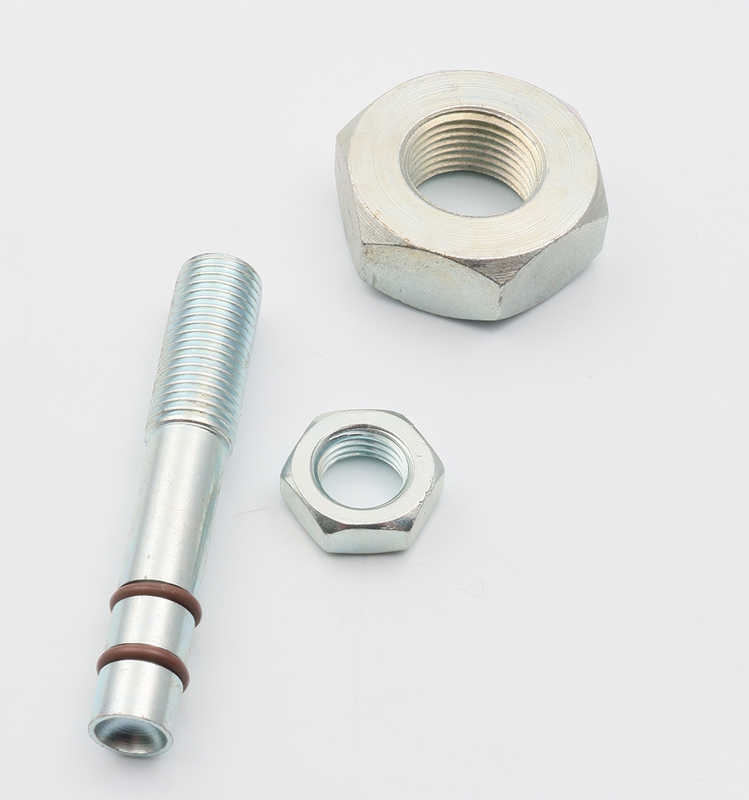 Adjustment screw with 2 o-rings and EVHN-500 hex nut. This kit replaces the CDAS-100 and HNS-100. FITS 1990 – Up, For BDL belt drive kits with the EPP-100 Pressure Plate, TF-1000 & TF-2000, Also used with DPP-100 Pressure Plate. Adjusting screw is 2.550” long, This unique dual o ring design seals oil transfer from mainshaft I.D. into clutch pack. No longer a need for the old sealed nut. You must install new dual o-ring adjuster screw from the backside of pressure plate so as to not damage o-rings. O-rings now seal mainshaft internally from oil transfer to clutch. The use of a red thread locker is required on all BDL transmission clutch hub nuts.